In this exclusive audio interview Emmy Winner Charlotte Robinson host of OUTTAKE VOICES™ talks with Mariah Hanson, founder and producer of the legendary Club Skirts Dinah Shore Weekend that’s in its 28th year and takes place in Palm Springs, California from March 28th to April 1st. 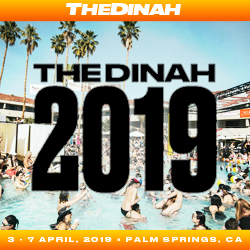 Leading the way and making a difference for both the LGBTQ community and women in general The Dinah is cranking up the volume on its commitment to elevate women’s voices and push forth its enduring message of female equality. 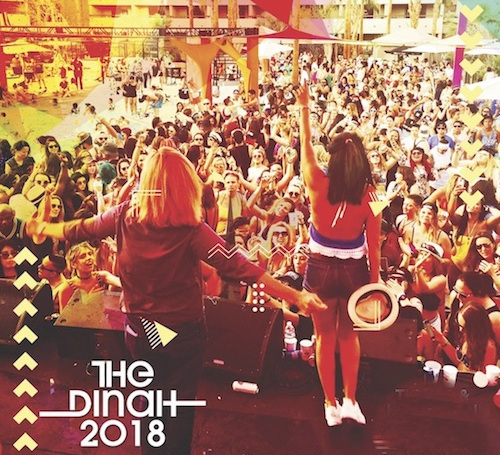 This year features a powerful all-female line up of inspiring women including rising star Jessie Reyez who has been taking the music industry by storm since she first released her debut EP “Kiddo”, 2018 double Grammy Nominee Rapsody, hip hop recording artist and actress Snow Tha Product, electronic music artist Madame Gandhi, Ariana and the Rose the synth-pop band from New York. Headlining "The Dinah Comedy Night" will be Dana Goldberg and Suzanne Westenhoefer. Also putting passion into action The Dinah is proud to be an active community collaborator teaming up with some of the top LGBTQ players in Arts & Entertainment to help promote and raise women’s visibility in films/TV & on the web, whether in front and/or behind the camera. 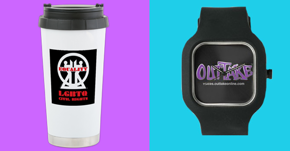 This year The Dinah is partnering with Outfest, the Los Angeles LGBTQ film Festival, Tello, the first lesbian network producing and distributing high quality web series with a lesbian focus and Revry an LGBTQ digital streaming platform. We talked to Mariah about her inspiration for all the festivities planned for this year’s Club Skirts Dinah Shore Weekend and her spin on our LGBTQ issues. Mariah Hanson the mastermind behind this legendary world-class destination event is not just shaking things up but changing the game too. An exemplary community leader she’s single-handedly revolutionized her industry, overturned tradition and raised the bar on female achievement with an event that is entirely produced by women, for women. 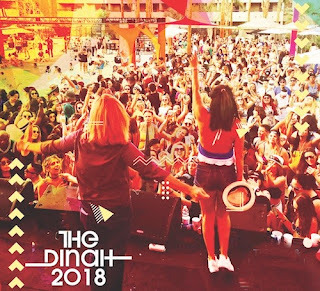 For many, The Dinah is an annual tradition between friends, for others it is a bucket-list goal, a pilgrimage to our very own Mecca that every queer woman should make at least once in her life. Mariah clearly has a vision to offer a forward looking, progressive and inspiring experience to move equality and pursuit of happiness to include everyone. AND, The Dinah is soooooo fun!